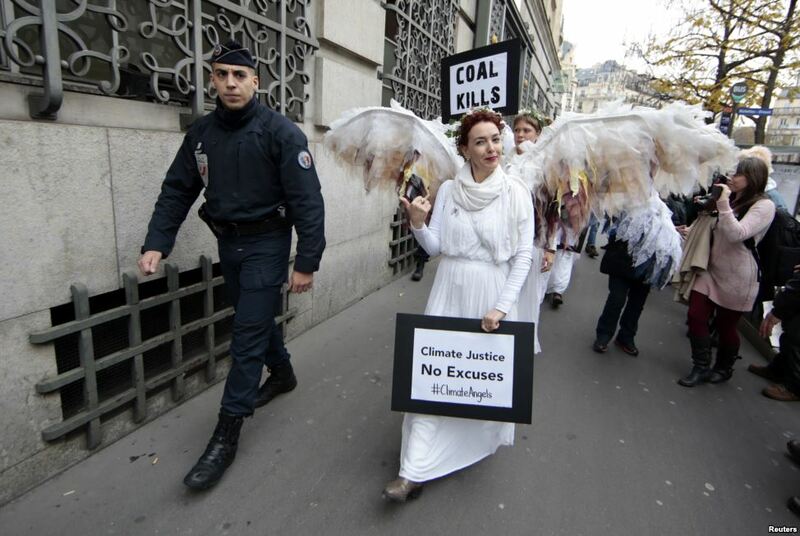 A French police officer escorts Australian environmental activists called Climate Guardian Angels during a demonstration as part of the World Climate Change Conference 2015 (COP21) in Paris. 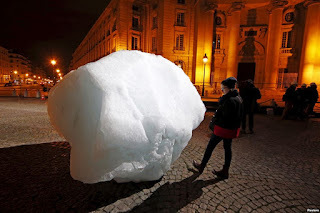 A woman looks at a mass of ice harvested from Greenland during an installation on Place du Pantheon for a project called Ice Watch Paris, in Paris, France. 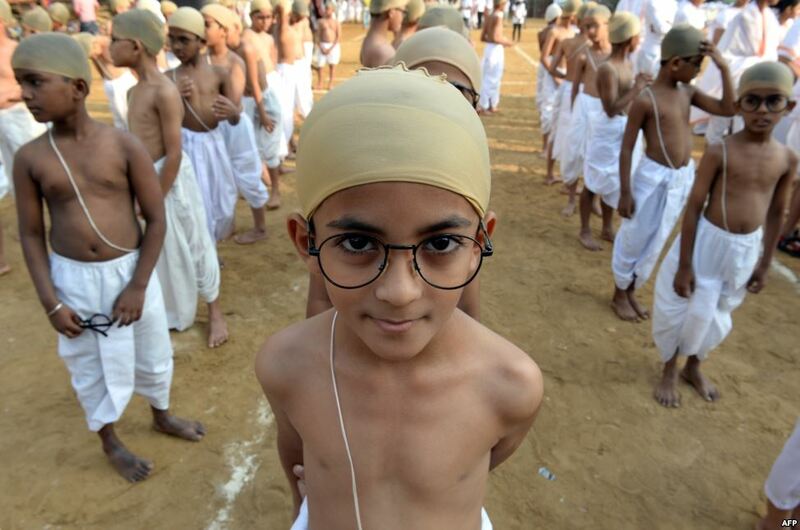 Indian children dressed as the country's founding father Mahatma Gandhi line up for a function in Mumbai. Some 1,000 children participated in the event promoting the Gandhian ideology to spread the message of simple living, reduce consumption and waste. 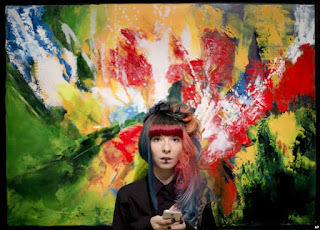 A model is startled while checking her mobile phone at the opening of an exhibition in Bucharest, Romania. 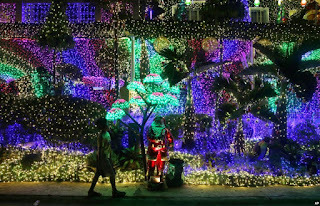 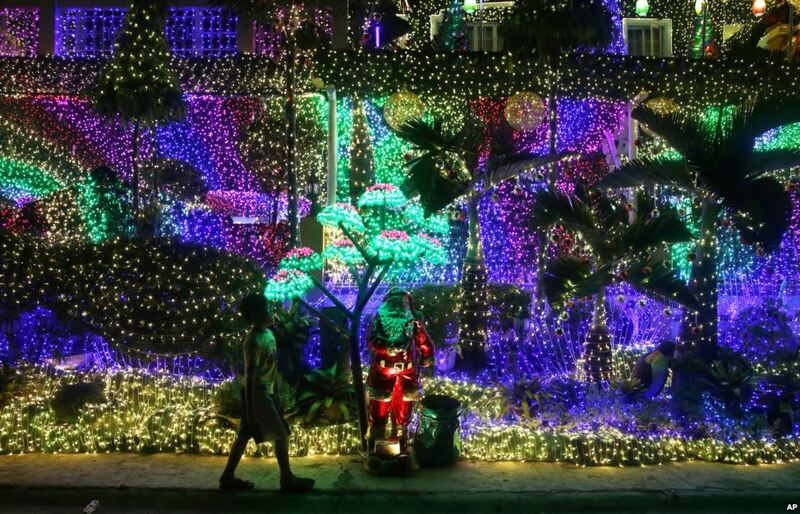 A boy walks in front of Christmas decorations outside a house in Cainta, Rizal province, east of Manila, the Philippines. 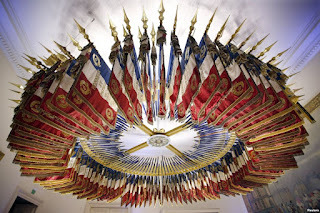 The tri-color - blue, white and red - flags and banners from 182 disbanded French military regiments are arranged in a circle as they hang from the ceiling in the Emblems Room at the Chateau de Vincennes, near Paris. 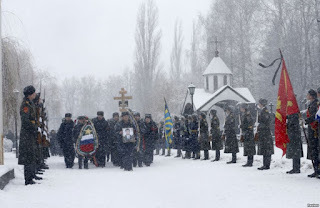 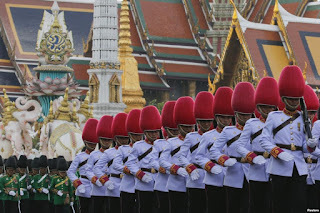 Honor guard stands at attention during the funeral ceremony of Oleg Peshkov, a Russian pilot of the downed SU-24 jet, at a cemetery in Lipetsk, Russia. 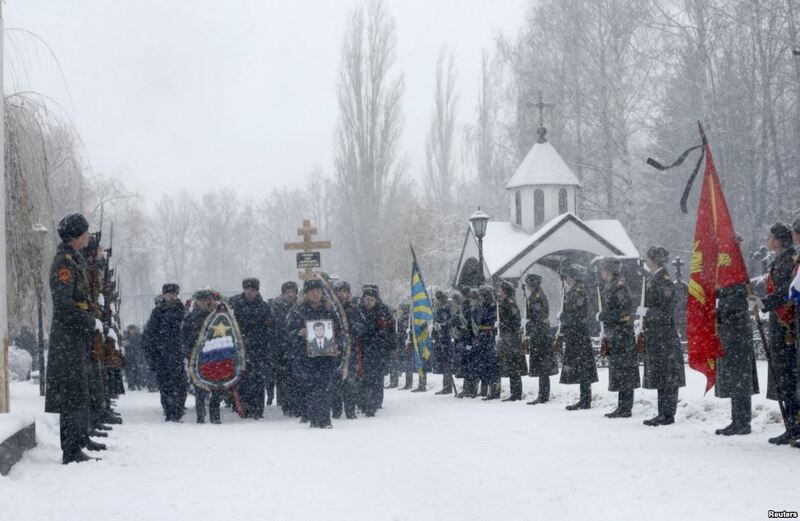 Peshkov was awarded the Hero of Russia award posthumously. 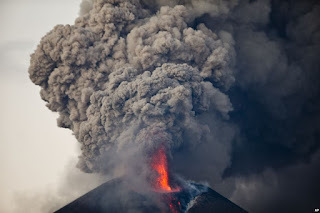 The Momotombo volcano spews a large plume of gas and ash as seen from the rural community of Papalonal, in Leon, Nicaragua.